Euro started a local correction. However, the bulls may try to start a new ascending movement before the price continues falling down. 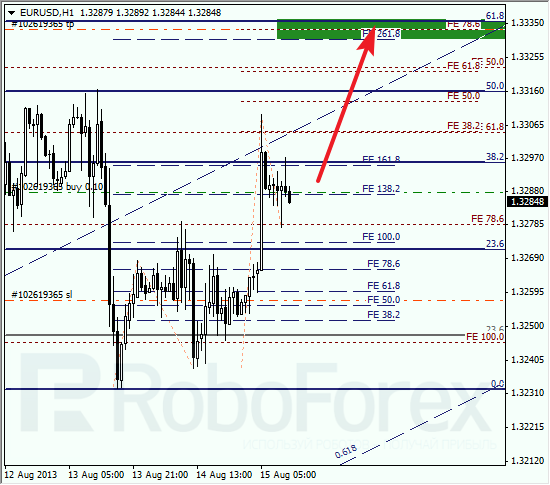 During a pullback, I opened a short-term buy order with Take Profit at the level of 61.8%. 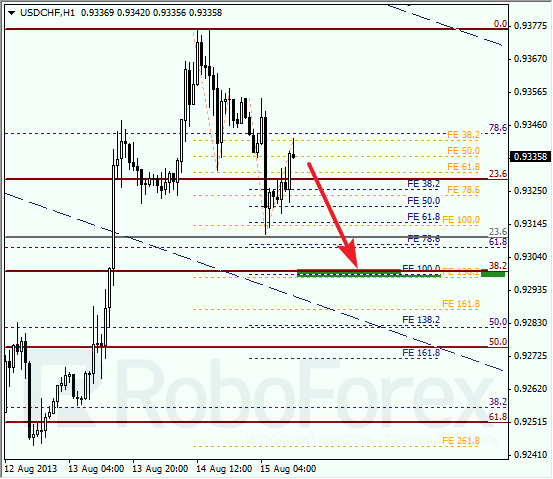 At the H1 chart, we can see additional fibo-levels in the target area, 261.8% and 78.6%. I’ll move the stop on my buy order into the black as soon as the price breaks the maximum. Franc started a correction. Most likely, the pair will continue falling down a little bit during the next several days. 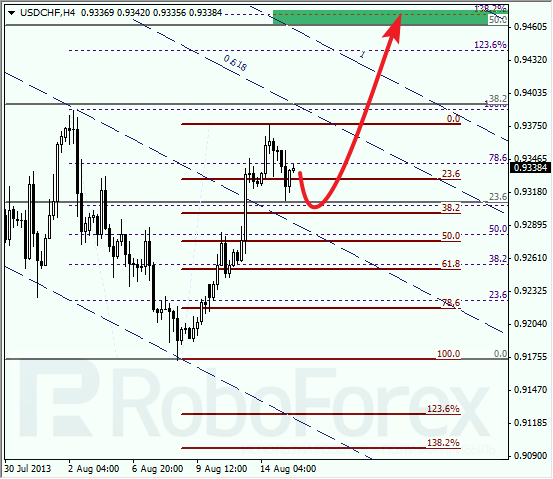 Later, the price is expected to start a new ascending movement towards the main target at the levels of 50% and 138.2%. As we can see at the H1 chart, the pair may complete this correction at the level of 38.2%, which is confirmed by two fibo-extensions. 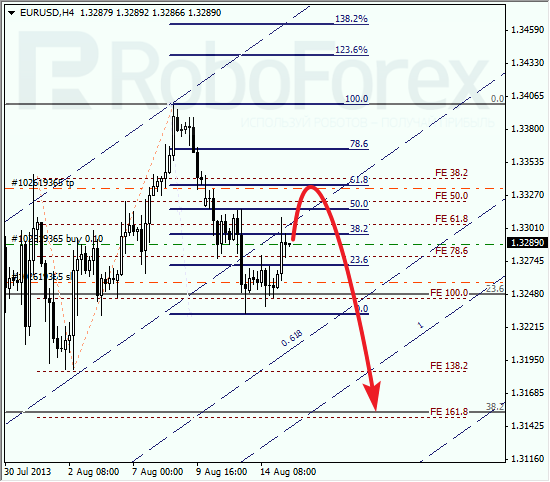 If later the price rebounds from these levels, the pair may start a new ascending movement.